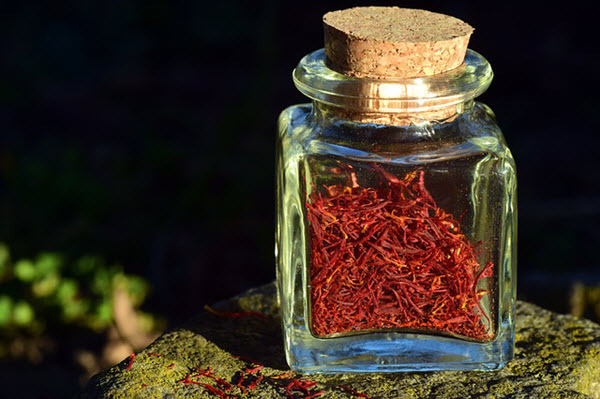 You can grow your own saffron from home, but you have to keep in mind that it takes around 60 flowers to create one tablespoon of saffron spice. However, the flowers multiply rapidly, so if you want to know how to grow saffron for yourself, read on. Saffron is a spice described as worth more than its weight in gold - it can be extremely expensive for a very small amount. This spice comes from the Crocus sativus plant, an autumn-blooming crocus. The first thing you have to decide is whether you're going to plant your saffron in containers or in the ground. Containers are usually safer for this spice as mice and rats are attracted to saffron and they'll mutilate a crop if it's left in the ground without any protection. We're going to give you a step by step guide to plant your saffron in containers, but you can easily adapt it to grow without them. Purchase (or hoard!) six or seven milk crates along with weed cloth and duct tape. You can usually find all of these things at your local hardware store. Measure and cut two pieces of your weed cloth so it is long enough to overlap the edges of your milk crate. Place your first piece of weed cloth into your crate and securely tape the edges to the lip of your crate. Take your second piece of weed cloth and repeat it so you form a box in your crate and the inside is covered with your weed cloth. Finally, tape around the top of your crate for added security. Purchase your Crocus corms, topsoil, and your potting soil. You won't have to worry as much about the location of your containers because you can move them as you see fit once you've planted your saffron. Set your crates out and layer 5 inches (13 cm) of topsoil into the bottom of each crate. Space your corms out around 2.5 inches (6 cm) from each other in the crate. This means you can get 10 to 11 per crate in three rows. Mark off your spots for each corm, and set it on the topsoil with the pointed side up. If you're not sure which end is which, plant it sideways, and it'll correct itself as it grows. Cover your corms with 2 to 3 inches (5 to 8 cm) of topsoil and gently tap it into place. 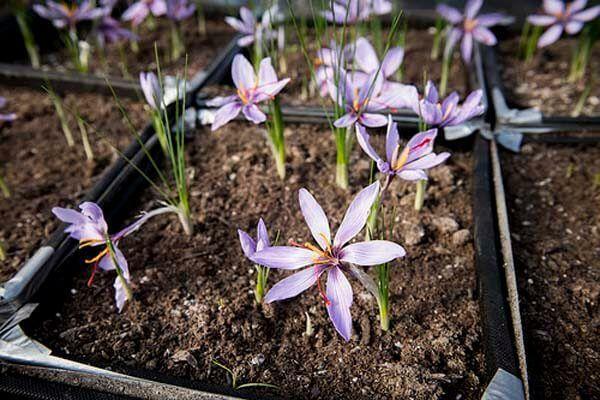 Over this, layer an inch or two (3 to 5 cm) of compost or potting soil as this will gradually release into the crate and give your saffron the nutrients it needs to grow. Water each crate thoroughly after you've finished layering your topsoil and potting soil. This initial watering is very important because it'll help kick off the active growing period and draw the corms out of dormancy. The hardest part with saffron is the preparation and the planting process. The actual growing process is straightforward, especially if you plant them in crates. After the initial watering, you only have to water your crates every 15 days because the spice originally comes from a very dry and arid climate. Additionally, the layer of potting soil acts as a mulch, so you shouldn't have too many problems with weeds. These plants don't grow quickly until the fall months arrive, so once it gets to this point, switch over to watering them twice a week. You can test the soil's moisture level by sticking your finger 2 inches (5 cm) down into the soil. If it's dry, water your plant. These plants don't require a lot of fertilizing, and you really need to fertilize them once per season. They're very self-contained, and they don't require a lot of babying them along to grow very well. If your area has a very long, mild spring, fertilize them right after they flower. This will give them time to build up a carbohydrate store, so they survive into the next season. 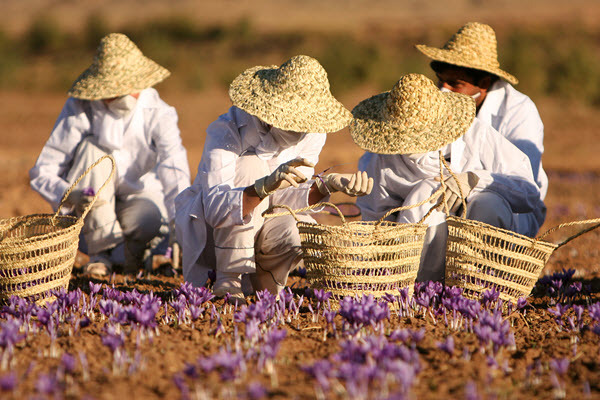 Patience is the key to having a good saffron harvest. Each corm will give you one flower, and each flower only has three saffron stigmas, so you'll only get a tiny bit from each flower. Pick your stigmas from your flower on a sunny day when your flower is completely open. These will be three red-orange things in the center of your crocuses. Use your fingers and carefully pick them out. Lay your stigmas out on a plate or a paper towel in a warm, dry place and let them dry out for three to five days. Once they've dried. You can store them in an airtight container for up to five years. Steep your stigmas in warm water or broth for 15 to 20 minutes when you're ready to use it. You can then add this liquid to your recipes or dish and get the saffron spice you're after. Rodents are the main problem with growing saffron as they like to eat the stems, leaves, and the corms. During the early spring and winter months, these are an excellent food source. You can reduce your rodent problem with traps, or by growing your saffron in crates. Mites attack and burrow into the saffron's corms. This will eventually destroy the plant, and it won't grow. You can prevent mites by making sure your saffron isn't soaked all of the ways through and treating them with miticide before you plant them. 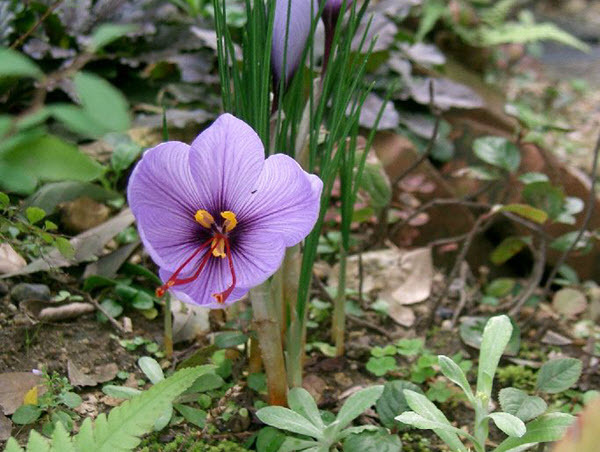 It can take up to 80,000 flowers to make a pound of saffron spice. It can cost anywhere from $600 to $2,000 per pound at retail. Saffron's bright orange hue is a result of its chemical makeup. Saffron can be an excellent addition to many dishes, and now that you know how to grow saffron, you can add this wonderful spice to your garden.